Today is the day for a solar eclipse, and since we moved to Nashville, we were able to enjoy a partial experience of totality (partial because a cloud decided to be mean and hide the sun just as totality happened and cleared out just after). It was still interesting to see the darkness drop, see a couple of stars, and even watch a few bats slice across the sky acting like it was dusk rather than 1:30 in the afternoon. Some people ordered glasses early, found a place to see the total eclipse, booked the travel, and were prepared. Others sadly were not as prepared. My Facebook feed probably wasn't the only one filled with people asking for extra eclipse glasses or looking for places to crash. The end result was that many of us were prepared for the opportunity and met with success, others missed it, and yet others (like myself) were impacted by variables beyond our control and achieved partial success. 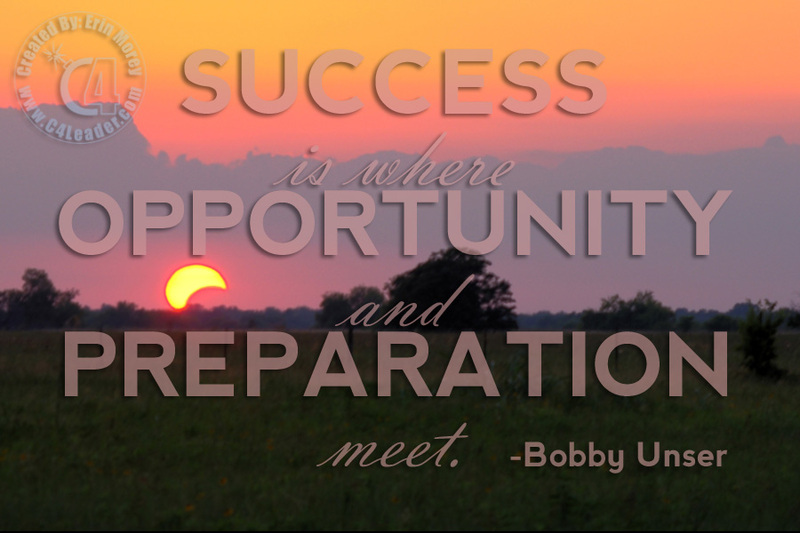 The questions are: Are you prepared for the opportunity? Or are you hoping random chance will intervene? What goals do you have and how can you prepare? As a leader, how can you prepare your team for the organization's goals? Are you preparing your team to be future leaders? I hope many of you enjoyed the eclipse and have a great week!